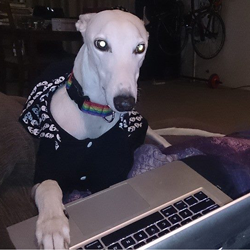 To find loving homes for former racing greyhounds. We work to educate the public about this wonderful breed, their appeal as pets and their care, so no greyhound is ever without a place to call home. GreySave is a racing-neutral and non-partisan organization that focuses on the dog's life after its racing days are over. The majority of our adoptable greyhounds come from the Agua Caliente Racetrack in Tijuana, Mexico. 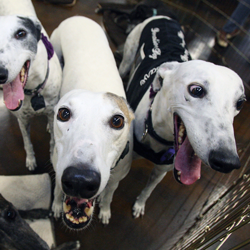 Once in the US, each greyhound has a dental cleaning, is spayed/neutered, vaccinated, and given a full medical check-up. All of our dogs are placed in experienced foster homes, where they are taught about life off the track as they await loving Forever Homes. GreySave takes all ex- racing greyhounds ~ well, sick or injured. 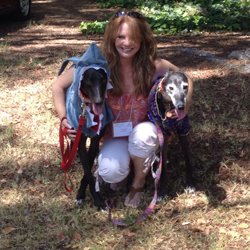 ​While the majority of GreySave's greyhounds come from the Caliente racetrack in Tijuana, Mexico, we also take in racing greyhounds from animal shelters, from individuals who can no longer care for them and occasionally get young hounds that did not race and older brood mom's from kennels in the mid-west. 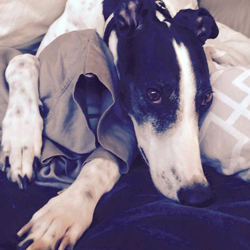 GreySave provides a safety net for all of our previously adopted greyhounds ​and those that have moved to Southern California by always accepting them into the GreySave family. Public awareness We use “Meet and Greets” and other venues in Los Angeles, Orange, Ventura, Santa Barbara, San Bernardino, Kern and Riverside Counties to let people know about GreySave greyhounds and what greyt pets they make. We use adoption applications and personality profiles of each dog, along with visits to the homes of prospective adopters to match the right dog with the right home. Our foster homes and placement representatives stand ready to advise adopters as their greyhound becomes a part of their family, and to continue to support adopters as questions arise. If a family can no longer keep a GreySave greyhound, for whatever reason, we will find a new home for him or her.